Sports Rendezvous: Anthony Joshua: Boxer's fight against Wilder is still unlikely. Anthony Joshua: Boxer's fight against Wilder is still unlikely. Joshua and Wilder are currently the biggest names in heavyweight and a fight between the duo has long been touted. 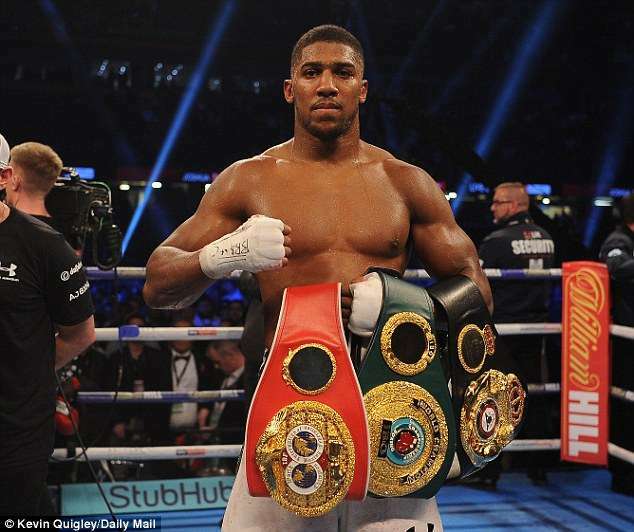 The most sought-after fight in boxing, between Anthony Joshua and American fighter Deontay Wilder, is very unlikely according to promoter Eddie Hearn. The English boxer of Nigerian descent is already billed to take on Joseph Parker for the WBA, WBO and IBF titles on Saturday, March 31.